Author branding— yep, it’s a thing. 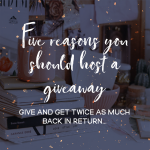 If you haven’t thought about this yet, it’s going to happen sometime in your author career– when you realize you have to start showing up on social media, and everything looks shabby and unpolished, and you’re wondering how other authors made their platforms look so darn good. Juuust in case you’ve never heard of ‘author branding’ before and are currently visualizing us authors prodding ourselves with hot-iron pokers— it’s not that kind of branding. Branding refers to the overall appearance and feeling that your business or company puts out (which, in turn, reigns in the right kind of customer). 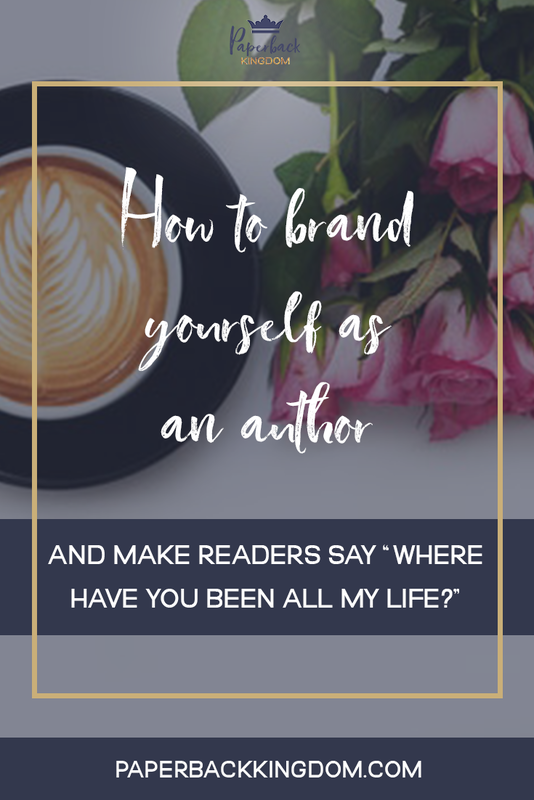 So when you go about branding yourself as an author, you are creating a look and feel that attracts your ideal reader. Ah. Now it’s making sense, right? If you don’t brand yourself, you are doing both your readers and yourself a disservice. So if your social media platforms are kind of shabby and give off the impression of someone who doesn’t know what they’re doing, people will be very quick to dismiss you in comparison to other writers in the world. And though the visual reflection of yourself shouldn’t define your writing talent, quite often, people just don’t care. When you’ve got competition in your industry and genre, it really boils down to being an author who attracts the right readers. 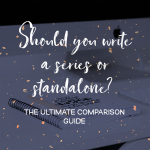 So you want to make sure it’s crystal clear who you’re marketing your books to; If you write steamy romance, you don’t want to be branding yourself like a fantasy author. Use the right colours— red, pink, black, white. Use the right visuals— roses, cursive fonts, shirtless men (as much as it makes me cringe, it gets the point across). Another important part of branding is making it very simple to understand and navigate your social platforms. If you’ve got a chaotic array of images on Instagram, a website with typography all over the place, and a hard to read, contrasting colour scheme, your potential reader will immediately be turned off and leave. So make sure your reader doesn’t feel buried under clutter when trying to figure out who you are and what you write about. Finally, you have to make it clear with your branding that you can solve your reader’s pain points. So if you can satisfy their cravings for vampire literature, make sure your branding reflects this. It sets the foundation of what readers can expect from you. It builds a memorable presence in the literature world. It ensures that readers will recognize and return to you. So, How Do I Go About Branding Myself? First, you need to define your target audience. I have more information on this topic right here, but to keep it short: if you don’t know who your ideal reader is, you can’t attract them. Or sell to them, for that matter. So this first step is vital. Secondly, you need to know your genre. If you write in multiple genres, that’s totally okay— but make sure you define this. In fact, I’d even recommend having a separate pen name for an alternative genre, juuust to keep things niched. But that’s totally up to you. My point is, it’s easier to attract one kind of person to one kind of visual, then to send mixed signals by mixing visuals. You don’t want to be attracting romance readers one day and then be scaring them off with horror novels. So think strategically about how you’re going to position yourself on social media, and how you can tie the two genres together. Thirdly, take some time to think about who you are. One of the biggest aspects of branding is finding a way to reflect who you are through it. After all, your books are an extension of your soul— they reflect what goes on inside your head, the kind of morals you weave into your stories, and your views on life in general. So, it would make sense to incorporate some of this into your branding, right? If you’re a quirky, diverse writer such as Alison Evans, showcase it by proudly dying your hair, wearing unique clothing, and sharing fun things you find on your adventures. Talk about why diversity matters to you— both as an author and as an individual. Because this is what your books are about, right? Tell us what drove you to write them! Are you using the right colours, styles and fonts? Are you representing your genre? Are you attracting your ideal reader? Are you showcasing your personality? Are you portraying all of this in a crystal clear way? Keep in mind that branding is often an ongoing, and ever-changing process. 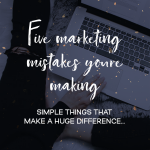 As you grow as a writer and as a human, you will change your perspectives and ways of doing things, so you will need to continue to update your branding with this too. Don’t feel like you have to nail it all at once— just take it one step at a time, and most importantly, start now.